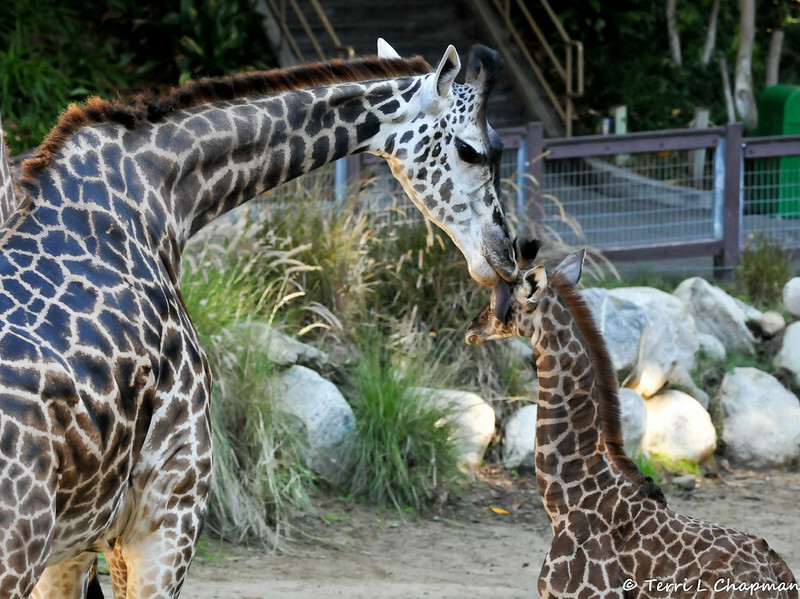 Leo "The Baby Masai Giraffe"
The Los Angeles Zoo welcomed a male Masai Giraffe calf, born on November 20, 2014, to parents Hasina, 6-years-old, and Artemus, 18-years-old. This is the second calf for Hasina who came from the San Diego Zoo in 2010. The baby currently stands at around 6-feet-tall and weighs close to 150 pounds. This was a birth the L.A. Zoo was thankful for during the holiday season as the population of giraffes across the African continent is drastically declining due to hunting and habitat loss. A local couple also felt a connection to the baby giraffe as they made the decision to adopt the baby and formally name him Leo. Baby Leo and his mother, Hasina.